Gucci jewellery echoes the brand’s longstanding icons, from the Horsebit to the 'GG' monogram. 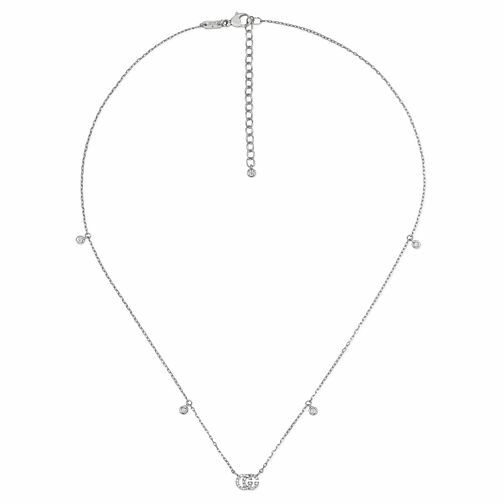 This gorgeous 18ct white gold pendant necklace will add a subtle sophistication to your wardrobe and be a great addition for any occasion. Featuring a slender necklace with minature charms and the 'GG' monogram as the pendant, this design from Gucci is an alluring one.